Honestly, this little number came into our world as a business card box. As is often the case, our customers have demonstrated that its usefulness reaches far beyond the bounds of a container for rectangular pieces of thick paper. Truffle box. 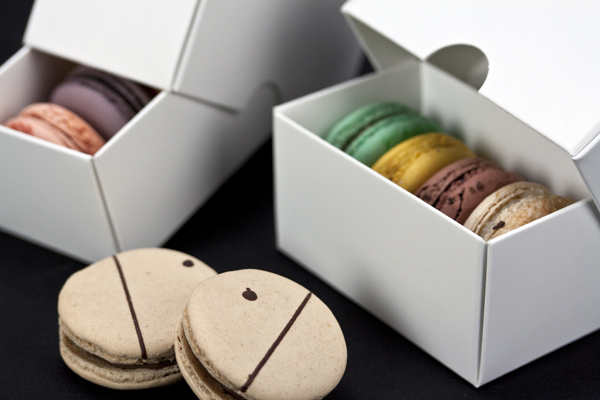 Macaron box. Wedding favor box. Like those who use this satin white set, the structure is not easily categorized or labeled. It's cool to see all of the ways you use this box, even if only for business cards. Worth a 10 star rating! Unbelievable strength! These boxes far exceed a sturdy classification. Very heavy stock yet extremely elegant. I am absolutely thrilled with this product!! Best UsesGoing beyond just bakery and using for small gifts as well. Such high quality - doesn't even need wrapping paper, only a touch of ribbon. My experience with BRPboxshop has been top notch, from good communication to fast shipping and a quality product. I am a soap maker and use these boxes for festive, holiday half bars. They increased my sales last year and I look forward to using them again this year for a fantastic presentation of my handcrafted soap. Great boxes! Good quality and sturdy. Can't beat the price! 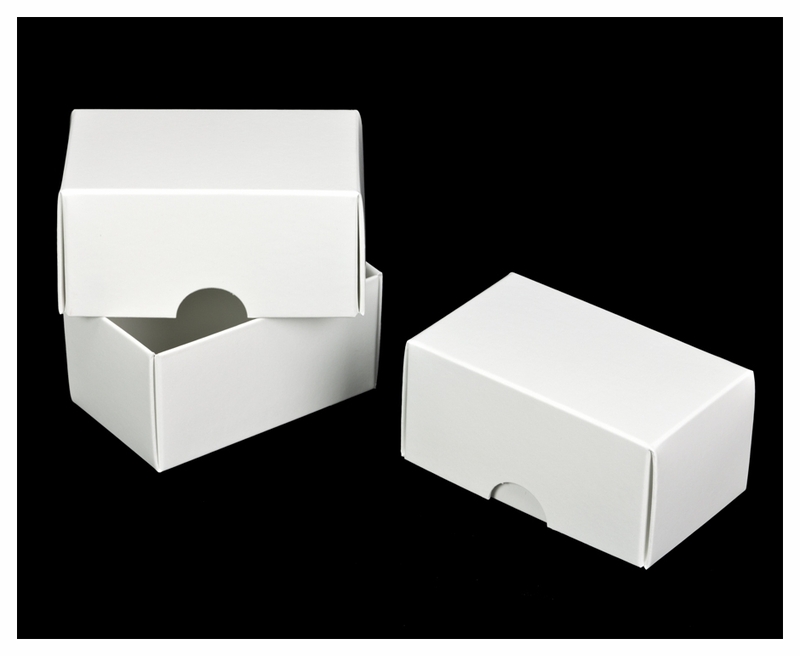 Sturdy, bright white boxes that are easy to fold. Best UsesSmall products or baked goods. 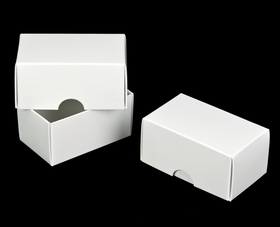 Great business card box for small quantities (100 - 130). I've been using them for the past several years. Very sturdy. Best UsesBusiness Cards, small trinkets. Is thus box offered in brown kraft? i would like to know if this box can be offered in black and in bigger sizes. Hi Hazelanne, I will add your request to our Customer Request List :) What dimensions would you want for the bigger sizes? Would it be possible to get a clear window for the box top for this one? I'm looking for 125 boxes for a customer order of 2 piece macaron favor box that is clear or has some sort of view-through window. Thank you! are you ever going to offer this box in any other colors -- preferably to match some of the cake box colors you offer? in particular i would love this box to be offered in Blue Diamond! thanks.